Meet Corten Coca Cola! | The Life and Times of a "Renaissance Ronin"
Leave it to the Coca Cola people to figure out how to monetize it. We’ve been hearing about this for a while. Finally, we’ve seen photographs of the prototype. 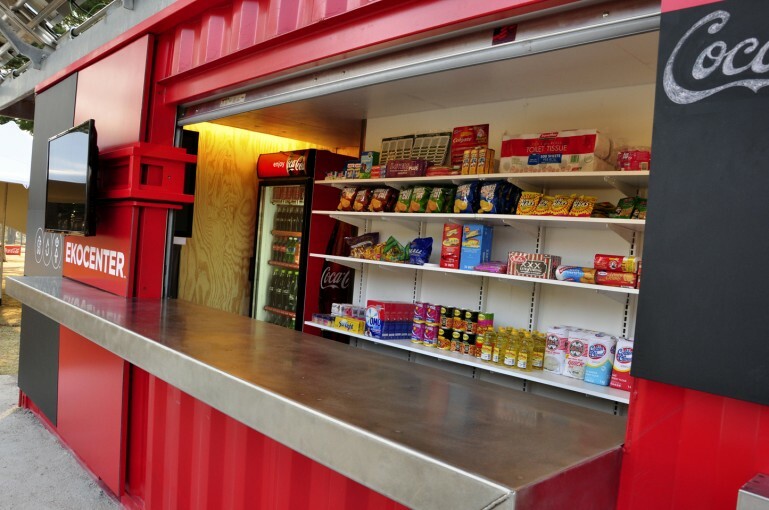 Coca Cola recently announced that they’ve partnered with Deka R&D (Dean Kamen is the driving force behind it, the guy who invented the Segway) to build and deploy something called “Ekocenter”… shipping containers that will be converted into water purification stations. They’re going to build 2,000 of these boxes and distribute them globally. These water purification stations (powered by photovoltaic panels) will work using a process called “vapor compression distillation” to turn unsafe water into drinkable water. 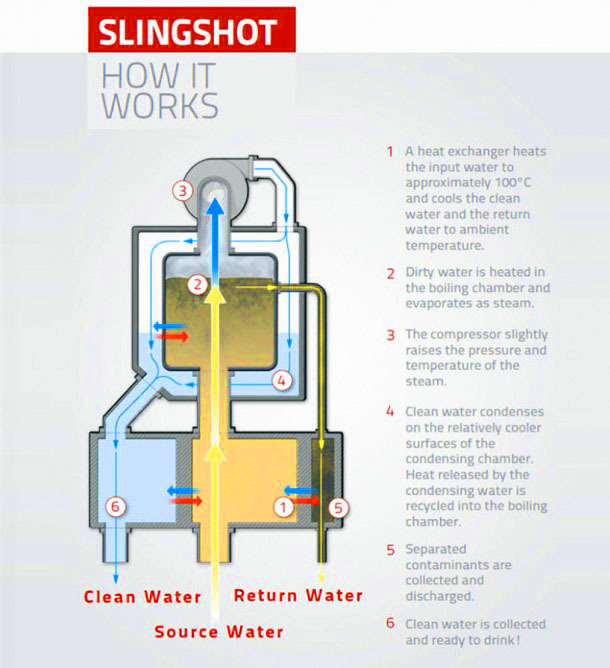 People at Coca Cola claim that each Ekocenter box (which uses about the same amount of electricity as a hand-held hair dryer) will produce 225 gallons of safe drinking water daily. Okay, at 225 gallons per day, that means that several of these stations will be required “per village” to supply enough drinkable water to the local populations. Note that we’re only talking about drinking water. No bathing, no washing of clothing, nada. This is strictly targeted at providing water for consumption. Note the output. We’re talking about the potential for providing a safe daily water supply for a small village/community of families. I have a pal (named after a US President, right Madison?) 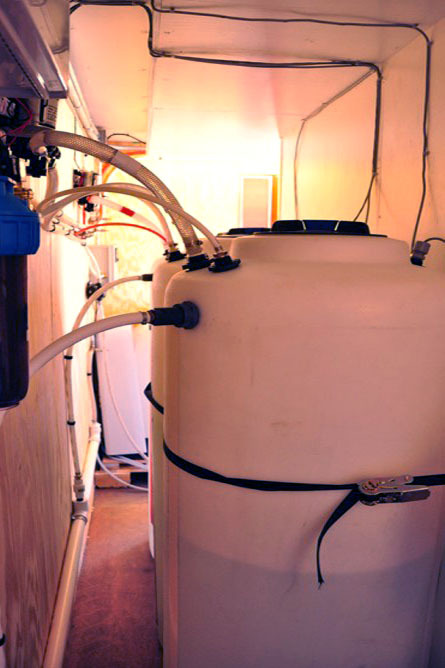 who is building a small ISBU based Island Resort using 20′ ISBUs as structure, This kind of water purification would be ideal, if you could increase the output and then get the costs per unit down enough to make it affordable. Here in “Container Junction” what we hope to see is some breakthrough in the costs of building the actual filtration systems. If you can build enough of these units, the price drops significantly, right? That means that at some point, families could actually own and operate these to insure that their families had clean drinkable water, almost anywhere on the planet. Using a 20′ ISBU as a platform means that they can then be hauled virtually anywhere using standards modes of transportation. Further, looking at WHERE Coca Cola (mostly 3rd World locations at first) will drop these, the filtration systems will probably be “canister based” and easily swapped out. That means virtually anyone will be able to handle the initial set up (the unit is basically self-contained) and the “basic” maintenance required to keep it operating with safe margins. As Coca Cola is notorious for their “promotions”, I can just imagine how this is going to play out. Remember those brightly dressed girls at the food court bouncing up and down in those lemon-aid shops? I can just see it now… Oy. What a nightmare… I really hope I’m wrong. I want to be REALLY Wrong, here. 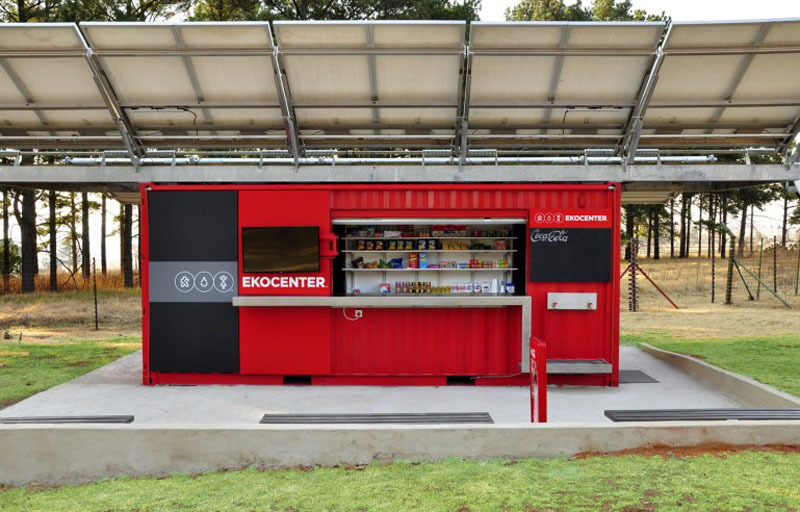 Coca Cola wants these boxes to serve as communal hubs, providing activities, charging opportunities for hand-held devices, Internet access (wifi hot spots) public education and even distribution of medical services through furnished refrigerators dedicated to task. Coca Cola says they want to deploy enough of these boxes globally to provide 132 million gallons of clean water per year to the population by 2015. While we applaud Coco Cola’s efforts, we’re wondering what they are going to charge these impoverished people for the “products”. Clearly, these boxes are “commerce models”. Ekocenter – Corten Coca Cola Commerce ISBU (try saying THAT three times fast!) – Globally distributed – Coming to a village near you! Note the shelves stocked with food and beverages in the background of some of the photographs. While we hope it’s “predominantly humanitarian” we also recognize the significant costs involved, seeing as how we’re doing similar things with water purification n a much smaller scale, ourselves. We’re thinking that Coca Cola will deploy these as “for-profit franchises”. I can’t imagine what the unit maintenance costs will be like. Will Coca Cola Corp subsidize the operations? Are there going to be grants and endowments involved in these operations? Government subsidies, perhaps? Are these boxes going to be permanently affixed to foundations? HOW do you secure a box that can be picked up and carried off by an average sized tractor?? Want to help us reach out to families in need? Right now, we’re raising money to pay for the diesel fuel that will allow tractor trailers to move gear to places where it’s needed most. You can Paypal donations to “renaissanceronin@gmail.com” Please earmark your donations as “Fuel For Food”. We’ll see that the “Corten Cavalry” gets every penny. Image Credits – Gizmag, Coca Cola Corporation and Deka R&D.